Hard boiled eggs. 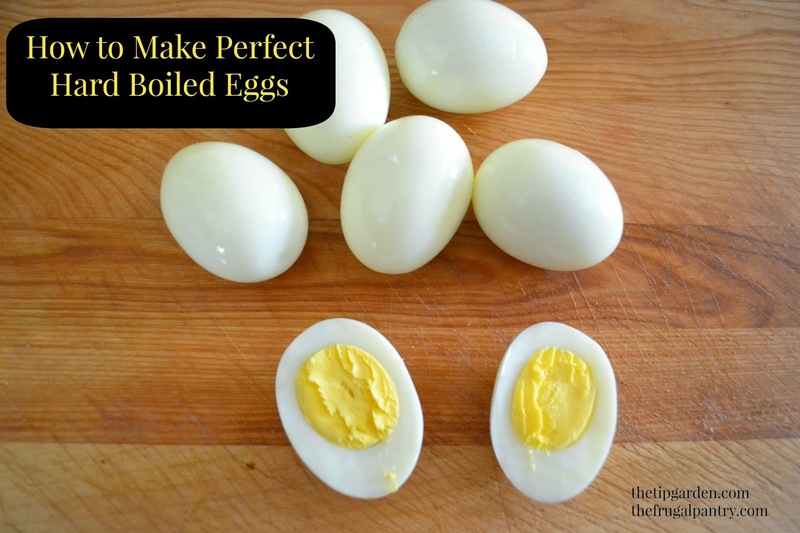 Seems so easy, but there maybe a few tricks your mother forgot to show you that will give you the perfect hard boiled egg. The green ring you see around the yolk sometimes when you slice open a hard boiled egg is due to overcooking. Did you ever wonder exactly how long to cook them? I'll share the time old secrets with you. Jan's Tip: If you desire to try to get the yolks centered as close to center as possible for deviled eggs, it is more successful when cooking eggs that are at room temperature rather than straight from the refrigerator, so pull the eggs out a half hour or so before cooking. Eggs should be cooked in a single layer, so choose a larger pan so all eggs fit on the bottom of the pan. Place eggs into the bottom of the empty pan. Place lid on pan and let eggs sit for 10-12 minutes. During this time prepare a bowl of ice water, set aside. Jan's Tip : because the eggs are removed from the heat source, and due to the fact that the water cools as the time goes on, you may find that you can leave them in there 15-20 minutes and still not over cook them, so if you get distracted and they are in the pan longer than the 10-12 min. you will probably be just fine! Let eggs sit (don't rush into this step!) till completely cooled. Jan's Tip: As eggs cool, they pull away slightly from the shell,making peeling them alot easier! So go take a time out and wait for the eggs to completely before starting to peel! Do NOT start peeling the shell off with your fingers! I know you want to, but I have an easier trick for you. Now, under running water gently let the peel practically just fall off! In fact mine usually come off all in one piece! Its' a thing of beauty! Next Post will be a recipe for Ham Devils. an old classic variation of deviled eggs.